KIPLING — Angela “Angie” G. Valencic, 90, of Kipling, passed away peacefully surrounded by family on Friday, Feb. 1, 2019, at the Bishop Noa Home in Escanaba. Angie was born Dec. 8, 1928, in Escanaba, the daughter of John and Helen (Juracic) Peloza. She graduated from Gladstone High School. She was united in marriage to Andrew Valencic Jr. on Oct. 11, 1947. 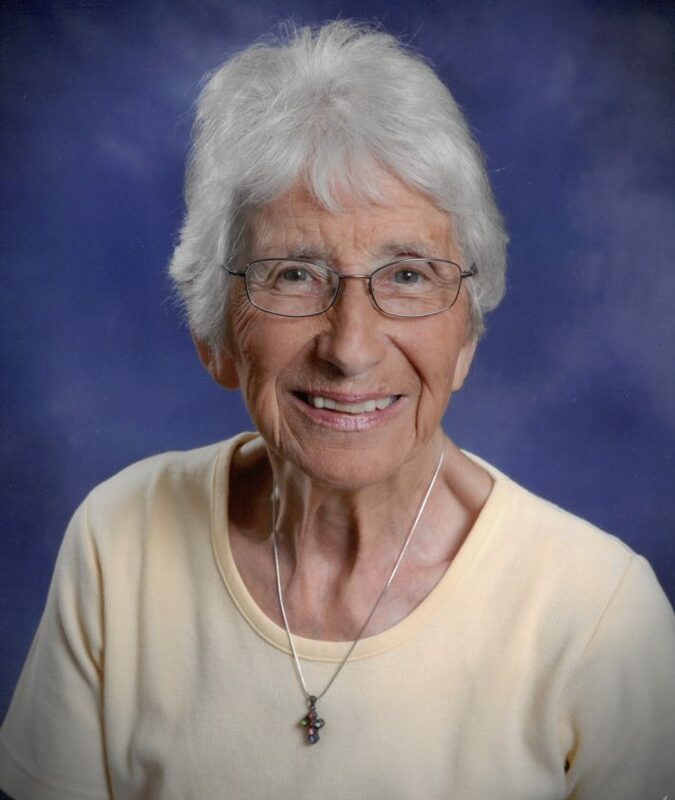 She was a lifetime member of All Saints Catholic Church in Gladstone where she was an active volunteer throughout her life. She was a member of the Friends of the Gladstone Library. Angie was very active in the community. She worked at Bay Super Valu for over 25 years. Angie is survived by: son, Larry (Susan) Valencic of Menominee, Mich.; two daughters, Lori (Bill) Pellerin of Houston, Texas, and Mary Valencic of Grand Ledge, Mich.; four grandchildren, Heather (Jeff) Musson, Joshua (Tarra) Valencic, Erin (Mike) Sudrovich, Jill (Brandon Gregory) Czelada; four great-grandchildren, Andrew, Carter, Brody, and Avenne. In addition to her husband, Andrew Valencic Jr, Angie is preceded in death by her parents and her siblings. Family will receive friends Saturday, Feb. 9, from 10:30 a.m. until 12:30 p.m. at the Skradski Funeral Home in Gladstone. Mass of Christian Burial will follow visiting hours at 1 p.m. at All Saints Catholic Church in Gladstone with Rev. Fr. Jamie Ziminski officiating. A luncheon will follow in the parish hall. In lieu of flowers memorial contributions may be directed to Friends of the Gladstone Library or Community Action Agency Senior Services Gladstone Center in memory of Angie Valencic. The Skradski Family Funeral Homes of Delta County are assisting the Valencic family. Please visit www.skradskifuneralhomes.com where you can leave a message of condolence to the family.